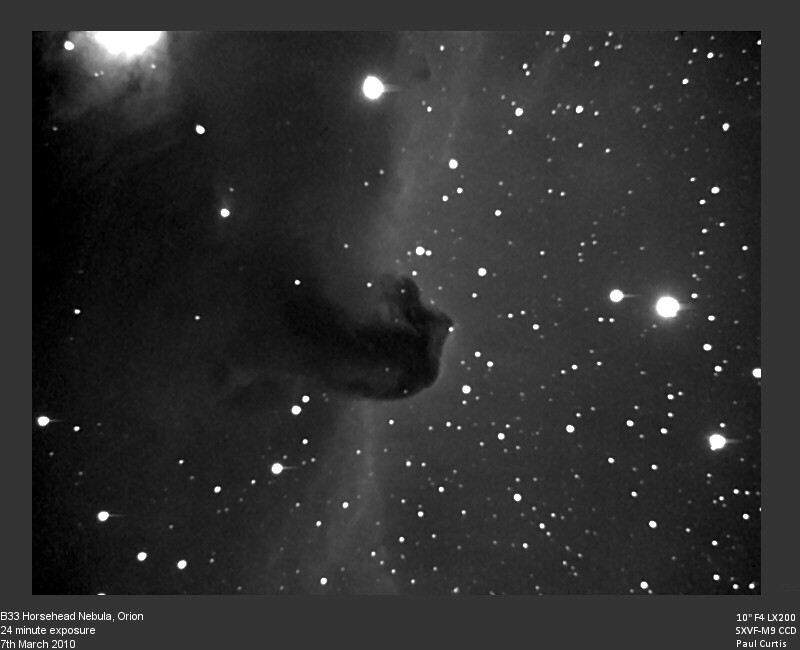 B33 The Horsehead Nebula in Orion - 10" Meade LX200 f4, Starlight Xpress SXVF-MX9 CCD. 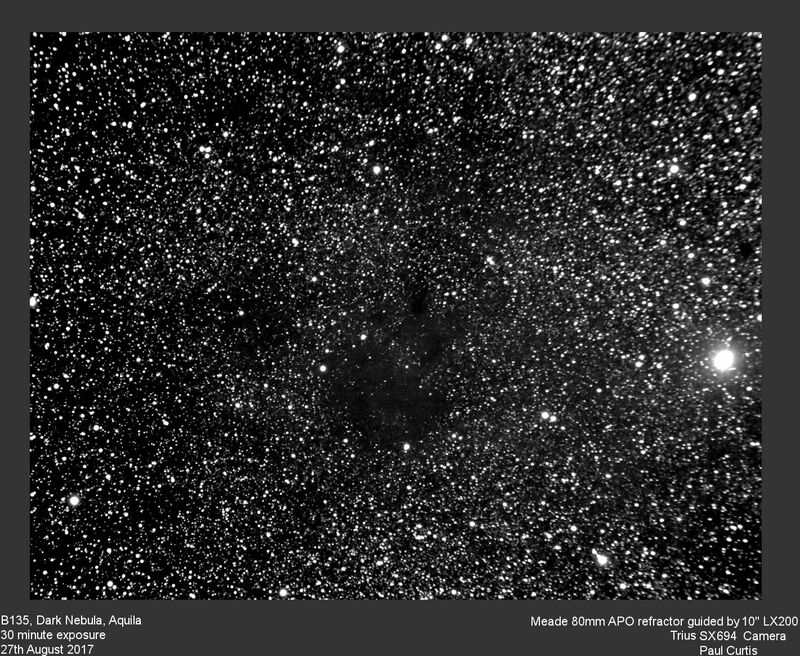 8 summed exposures : Effective integration time 24 minutes. 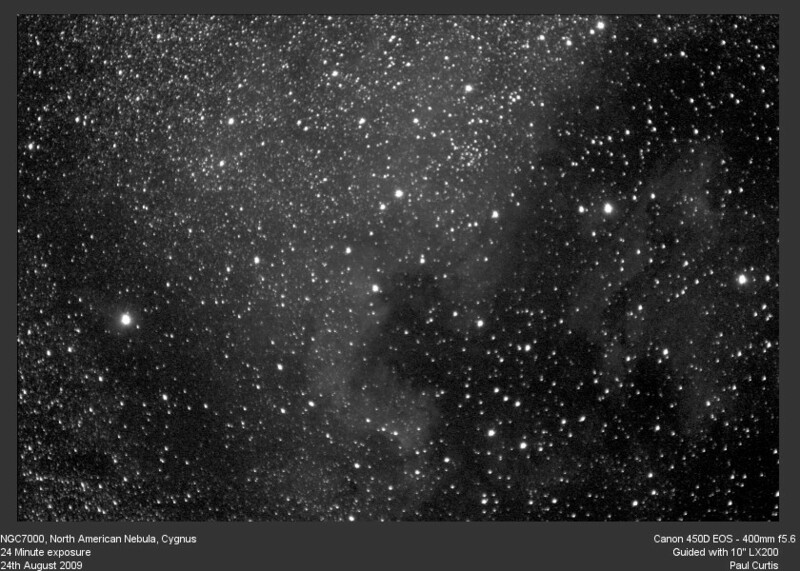 NGC7000, North American Nebula, Cygnus, Canon 450D EOS camera f5.6 400mm lens. 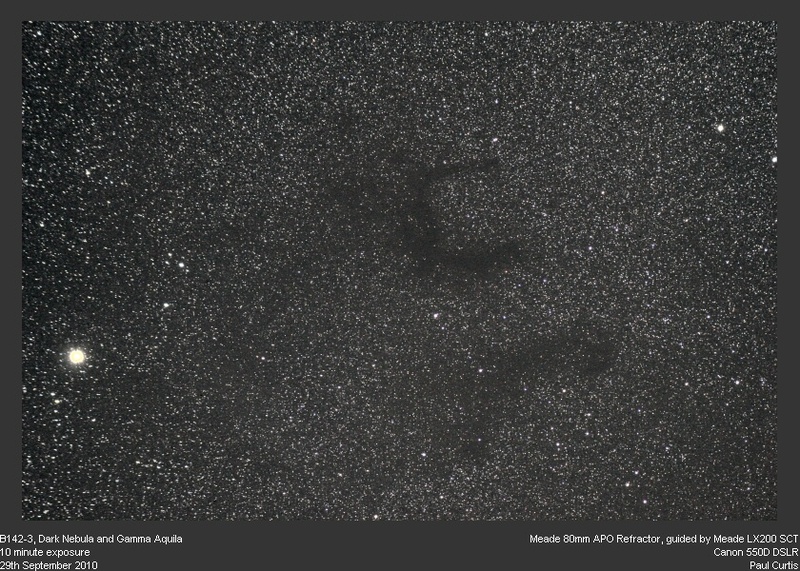 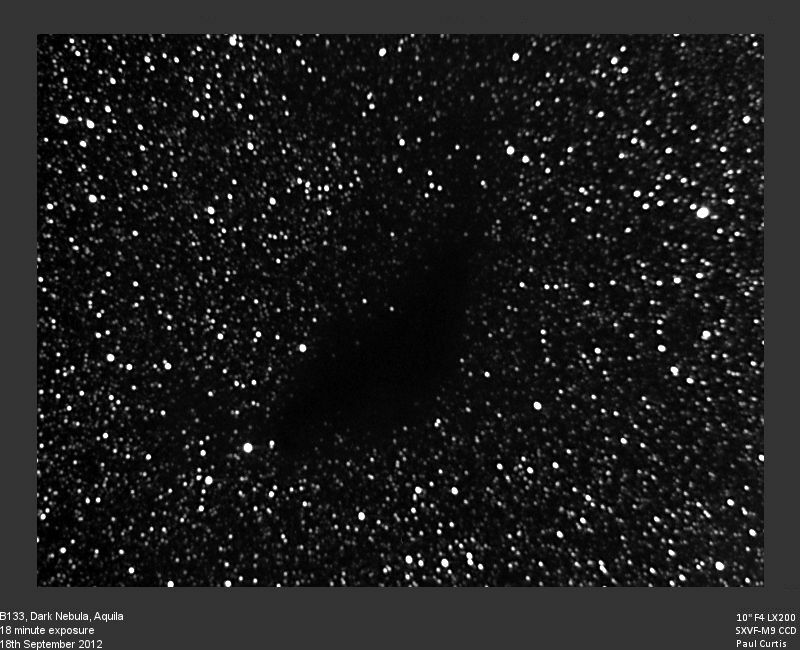 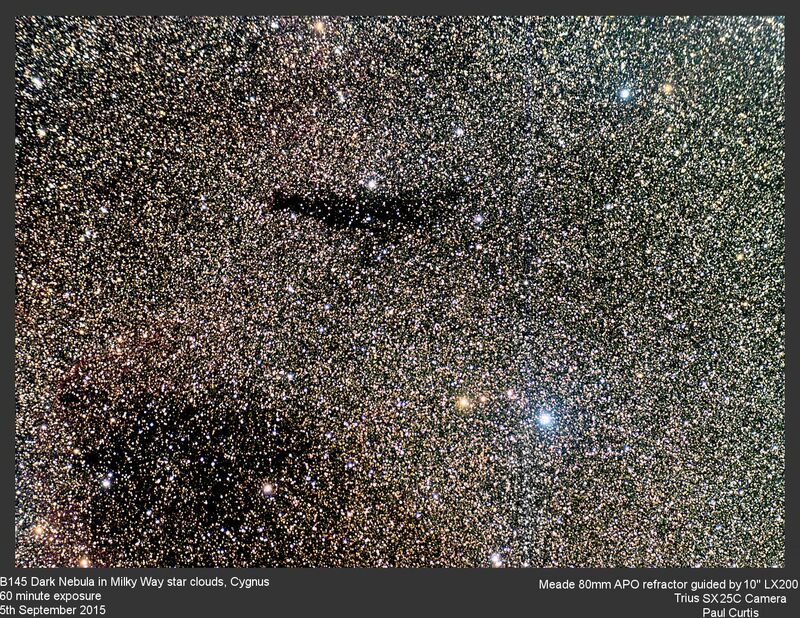 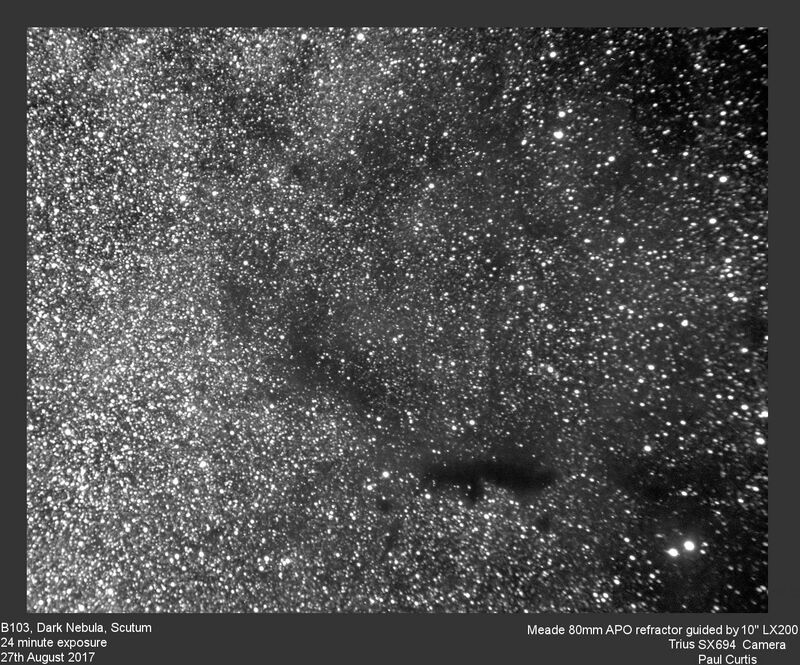 Guided by 10" Meade LX200. 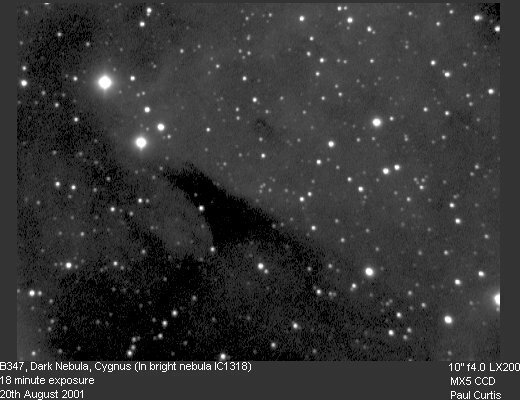 Twenty-four minute exposure.